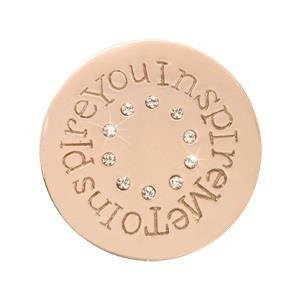 This rose gold nano-plated 'Inspire me to Inspire You' coin consists of an inspirational message engraved as a fringe around a circle of crystals. Ideal as a self purchase or as a thoughful gift for someone special. This is a small 23.6mm coin designed to fit in the small pendant.